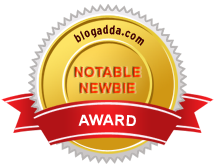 Teenie Weenie Yellow Polka Dot Bikini is a fashion blog or a fashion diary like the author, Raquel, likes to call it. She talks about everything that happens in her life involving fashion from her hair to her shoes including her thoughts. Raquel is a 27 year old Portuguese girl who apart from her blog, works full time as a stylist in a Fashion company. Before she embraced the fashion industry she worked as a journalist for several years and made a Masters in England in Cinema, her greatest passion. Here is an article she was kind enough to write for my blog and promises to be an insider's perspective. My job description is "stylist", but I’m much more than that. It’s impossible not to be more than that in 2011. To be a stylist means I also need to be a fashion advisor, market analyst, a buyer, a street style photographer, a blog writer and reader. At least in my company and I want to believe that the same happens everywhere. So well, the question is: Does styling mean different kinds of jobs in the fashion world? Is the concept of a stylist changing? If yes, what is causing this mutation? For the first question I must say I’m still figuring out the answer… I think your stylist job depends on each fashion area that you work in. Of course your tasks change when you’re working for a magazine, for e-commerce or for a factory. It depends if you’re working with high street brands or fast fashion stores. But the grounds are the same: fashion knowledge, aesthetic sensibility, innovation spirit! I believe there is place in the world for different concepts of this career but I also believe being a stylist in 2011 is no longer the same it was back in the time when I was a journalist. Everyone working in this area should pay attention to the blogosphere, everyone should go to the streets once in a while and take pictures of people whose style is impressive, everyone should go to concerts, exhibitions, movies and take inspirations from what the cultural art/ industry gives us. And that is what mainly changed in the styling career, the fashion world is no longer the same, the rules are vanishing and you must be ready for working in a fashion anarchy. 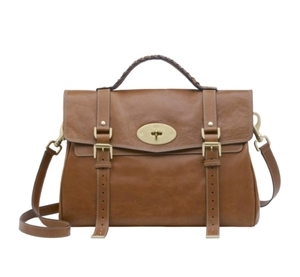 There are two major examples of 2010 hits that could be mentioned: Mulberry Alexa bag and Moschino vintage belt. I’m pretty sure that Alexa was the sensation of this season because style icons used it everywhere. And when I talk about style icons I’m thinking about girls like Olivia Palermo and, of course, Alexa Chung. They covered the magazines pages with their style and they were copied by the readers and bloggers. Thousands of people read these blogs and wanted to have a similar bag. Hundreds of fast fashion brands presented low cost solutions and in less than nothing the blogosphere and websites like lookbook.nu were crowded by satchel bags. 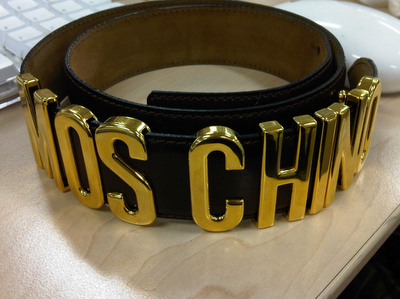 The Moschino black and golden belt is even a more consistent example of the street style influence. This belt for decades, was considered cheesy for most fashion canons. One started using it and then others found the same belt in the mother’s closet. Suddenly the belt is in every daily style website and is one of the most wanted items on eBay. How can you be a stylist in 2011 if you have no idea of what’s happening in the real girls' and boys' minds? You can’t. But most important of all and that’s the main point of this article, stylists should not copy or get inspired by just this. They should create that inspiration and this happens if you go further than your limits. Analyze what’s already done and aim bigger, think different. Do you like a painter? Ask your designers to make a print collection to t-shirts based on a painting. Do you love a song but it’s not popular and no-one heard it on the radio? Great! Think about what that song means to you, think colors, think shapes. Being a stylist in 2011 means artistic, singular work in a world where the massive cultures rule. Do you dare? I will proudly try. Thanks for sharing.....Raquel looks smashing! Hi, I hope you readers like this article, so glad you published it! What a great article. Thanks for posting. She makes such good points. I think some people think being a stylist is as simple as coming up with cute outfits, but that's not enough. You really have to be willing to think outside the box (outside what YOU would wear) and think about what would make others happy and of course looking fierce. I'd definitely would give it a try!